Bitcoin Cash (BCH) is peer-to-peer electronic cash for the internet. It is a fork of the bitcoin currency, which came after bitcoin ran into trouble at the end of 2017, when fees were shot up and transactions were taking days to process. Bitcoin Cash immediately raised the block size to 8MB, instead of 1MB of the legacy bitcoin code. Low fees and fast transactions have been restored with the introduction of Bitcoin Cash. 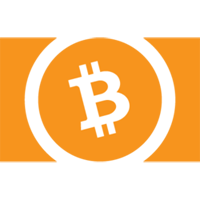 Visit our full bitcoin cash mining calculator.